In February of last year, Sara Blake was one of the speakers in the annual Graphika Manila, the “premiere creativity and design event in the Philippines.” It is a conference for creatives where speakers from different fields of art talk about their work. Almost a year after the event, I can still clearly remember Sara Blake’s delicate and elegant illustration art. Her wonderful drawing style is stuck in my head. From then on, I instinctively knew when a particular piece of artwork was hers as soon as I see it. The talk she gave about her work was specifically memorable for me because of how she encouraged the listeners to be brave and just draw — which was how she started in her field. Sara Blake, also known by the moniker ZSO, is a New York-based designer and fine artist specializing in illustration. She birthed the name ZSO as a place or means of escape for her personal projects while simultaneously working in the advertising industry as an art director. She said that the nickname, pronounced (|zo|), is a set of letters that she finds both aesthetically and phonetically appealing. Together they make a sound much like “so,” the adverb which means “to such a great extent.” I am a person of extremes, for better or worse (most often the latter), so the ring of it was fitting, and the moniker has since stuck for good. Ever since she graduated from NYU’s Gallatin School of Individualized Study, she’s been working full-time in the illustration and design industry. Sara Blake have worked with big clients such as Nike, Ford, Hurley, IBM, Wired Magazine, VICE Media, Warner Bros. Entertainment, Marvel Entertainment, Scotch & Soda, and TEDx Labs. Aside from doing commissioned work for great companies, ZSO continuously creates personal art to pursue and explore the medium more. 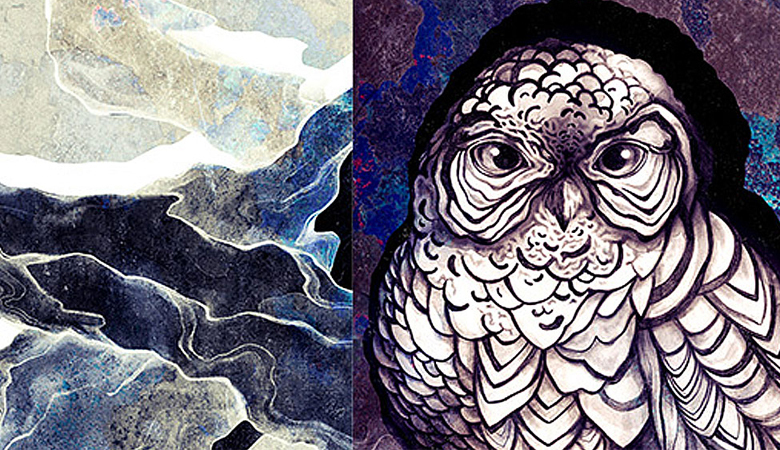 ZSO’s medium in her body of work is a mix between digital and traditional, hand-drawn illustrations. Currently, she also works as a designer and art director for Minetta Design Co. and Solid Gold House and a Rocket Car. Featured below are only some of her fascinating illustrations depicting fantastic beasts and more. She loves travelling, running, cycling, white huskies, black cats, and brussels sprouts — vegan ice cream is her kryptonite. Visit her blog to get updates on her latest endeavors. Follow her on the web through Twitter, Instagram, Pinterest, and Facebook. Lastly, you may purchase some of Sara Blake’s work via her online shop.